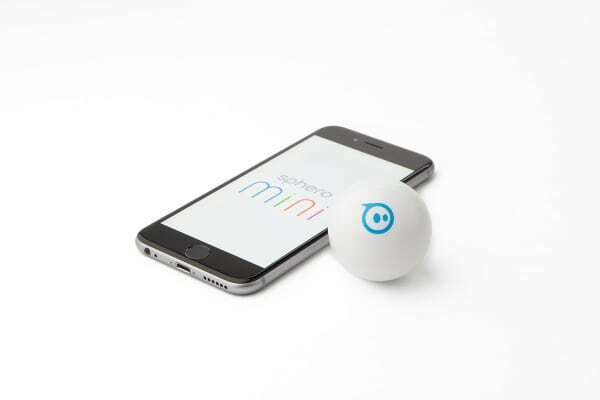 Sphero Mini packs tons of fun into a tiny, app-enabled robot about the size of a ping pong ball. Drive Mini using different modes with the Sphero Mini app, or just by using your face. Yes, you read that right. Face Drive™ is a hilarious new feature that uses your facial expressions to drive the ball. Driving – Drive Mini using different modes with the Sphero Mini app – Joystick, Tilt, Slingshot, or Face Drive. Face Drive™ – Face Drive is a hilarious new feature that uses your facial expressions to drive the ball. 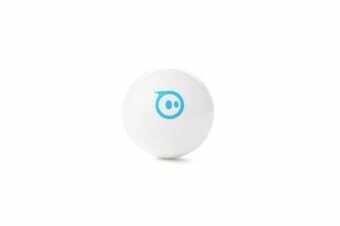 Gaming – Sphero Mini can be used with the app as a video game controller. Play 3 games with more updates on the way. Interchangeable Shells – Colourful, interchangeable shells allow you to switch one out to suit your mood. Packed with teeny tiny tech, Sphero Mini has a little gyroscope, accelerometer, and LED lights. Colourful, interchangeable shells are available, so you can easily switch one out to suit your mood. With almost an hour of play time, Sphero Mini is the next big thing.